Risan is situated in the northern part of Boka Kotorska Bay, in the territory included in the UNESCO World Heritage List. The territory of Risan dates from the Illyrian and Hellenic – Roman period. The ancient city had a very busy port and, according to the Tabulae Peutingeriana, it was situated at the crossroads of the Roman military road from Epidaurus (Cavtat) towards Scodra (Skadarsko Jezero). 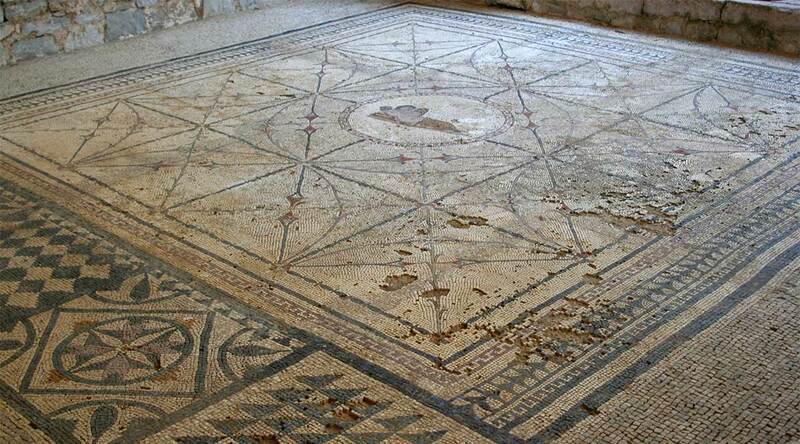 The Roman Villa with mosaics, dating from the 2nd and early 3rd century AD, is located in the southeast part of Risan. The excavated part of the villa has dimensions of 38m x 31m, comprising a central courtyard – atrium with a row of rooms surrounding it. The walls are visible as well as the rooms with floor mosaics. The mosaics demonstrate different artistic styles composed in poly-chrome geometrical patterns, one with a floral pattern and a rare representation of the reclining Hypnos, god of sleep. It is one of the most important archaeological sites in Montenegro, and as such is designated as a protected cultural monument. Its archaeological and cultural significance lies not only in the site itself, but in the fact that it presents one part of a broader cultural complex comprised of numerous and various cultural monuments such as two important archaeological sites, underwater archaeological sites, religious architecture and residential palaces. The ancient Roman Villa could be a model for the future presentation of archaeological sites in Risan, and be an important reference point for development of cultural tourism and sustainable development of the area of the Boka Kotorska Bay.